The highly qualified and experienced science faculty at Riverside offers students a choice of numerous rigorous, experiential, science courses. Learning the facts is not enough. 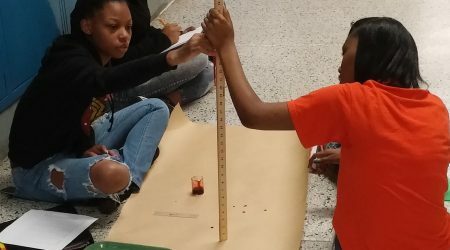 The study of science requires students to engage actively in the learning process. 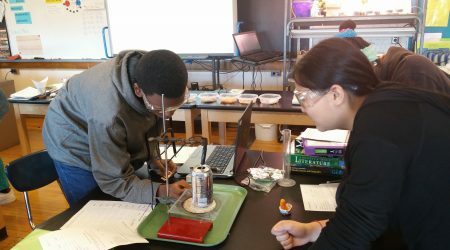 All science courses at Riverside are laboratory based and require students to seek answers to questions while working collaboratively with other learners. We require all students to complete three credits of science before graduation. One of these courses must be a biological science and one must be a physical science. Many students at Riverside opt to take four (or more!) credits of science. Riverside has partnerships with UW-Milwaukee and the Urban Ecology Center that allow us to offer unique opportunities to students. 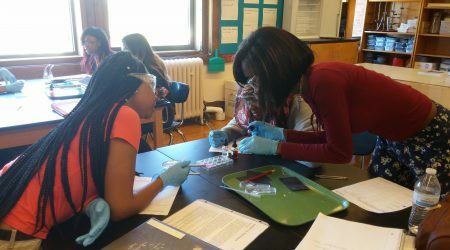 Our proximity to Riverside Park, the Milwaukee River and Lake Michigan allows our students to learn science in a natural setting. Project Lead the Way– Nationally recognized pre-engineering and biomedical sciences programs for students with an interest and aptitude. Riverside is a nationally certified school of excellence for PLTW. 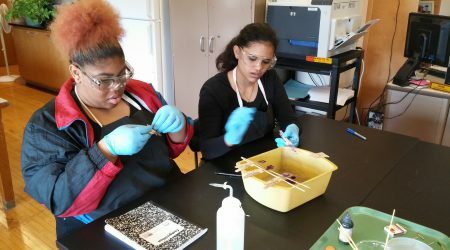 Students who enroll in our engineering or biomedical sciences courses have the opportunity to earn college credit by examination at the end of each course. Advanced Placement-A nationally recognized program that allows students to earn college credit for completing advanced courses. Students attaining high scores on the College Board AP exams can earn college credit or place out of introductory level science courses in college. Bilingual Science Instruction-High quality science instruction for Spanish speaking students.